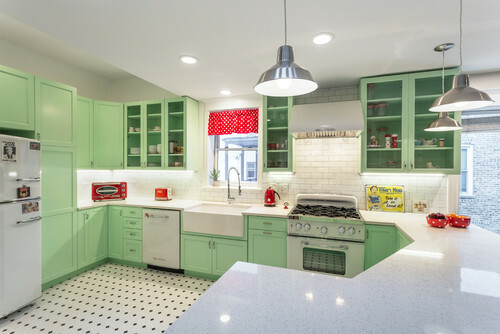 One great thing about retro kitchens is that most of the material that make a great design are relatively cheap. Flooring can be done in vinyl tiles or laminate flooring. (If using tiles, I do recommend the glue down over the peel-and-stick tiles, because the peel-and-stick tiles have a tendency to separate). Although these aren’t the only options for flooring, they certainly are some of the most budget friendly. 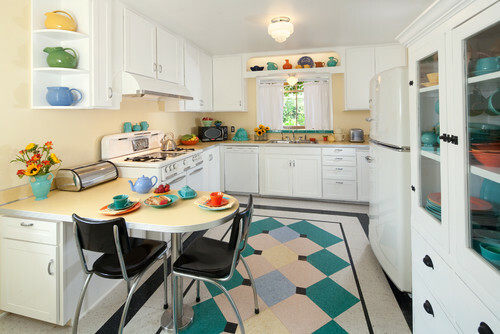 In addition, laminate or tiles countertops is the way to go if your really wanting an authentic retro look. These are also great for a tight budget, which is a plus. 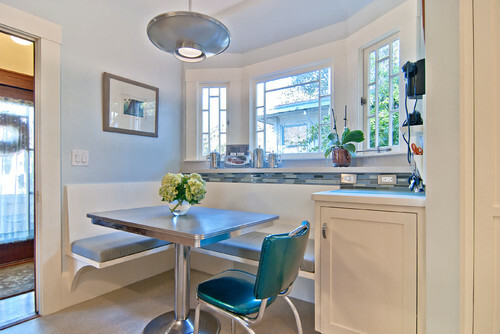 Tables for retro kitchens usually consist of chrome legs with laminated tops. The laminate has that retro speckled tone that was common for laminate in the 50s. Another popular furnishing piece is the bar stool. 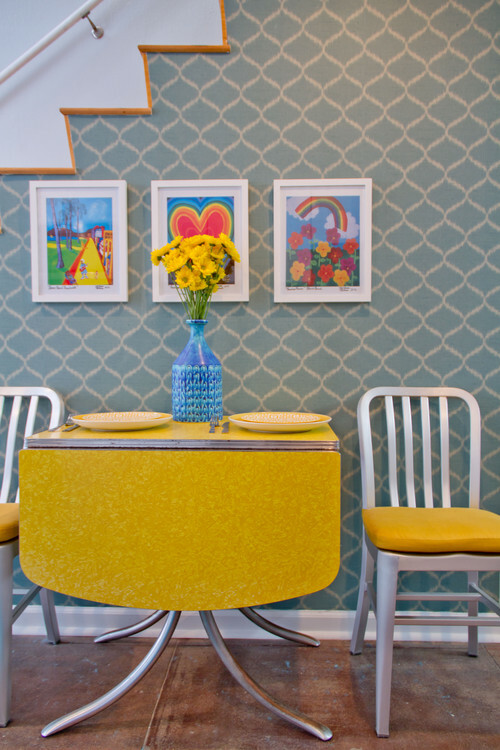 Made from the same chrome and vinyl as the chairs, these can be the finishing touch that any retro kitchen needs. Although just about any color can be used, the most recognizable colors are black and white with red. 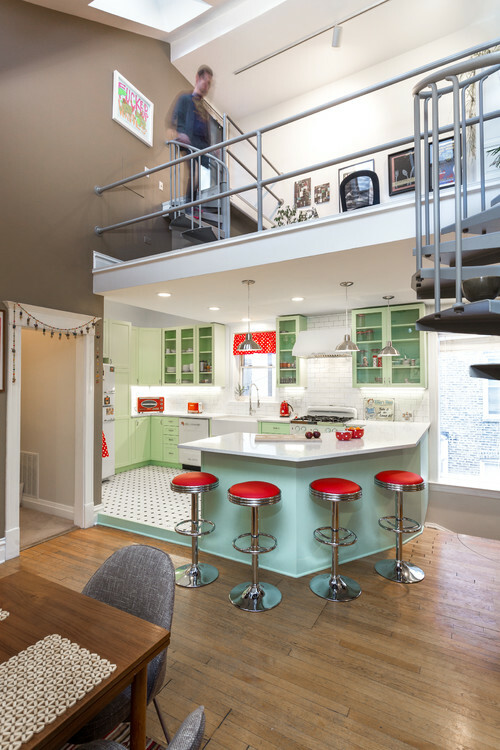 That usually comes in black and white tiled floors with splashes of red accents in furnishings. 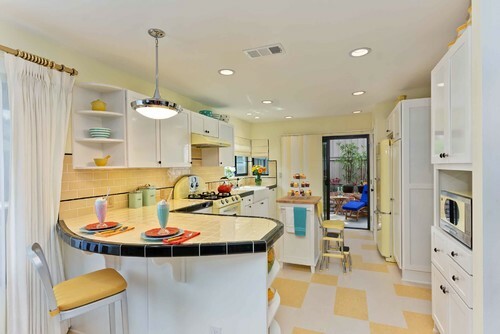 Yellow was a big residential color of choice back in the day. So, don’t feel shy about using it again. 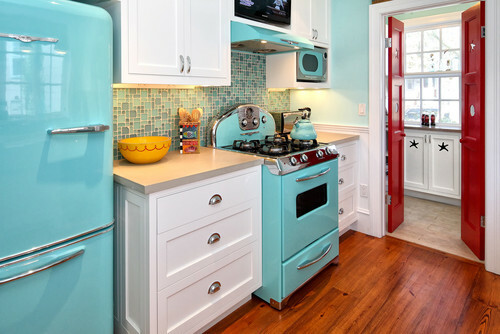 However, just about any color can work for your design. 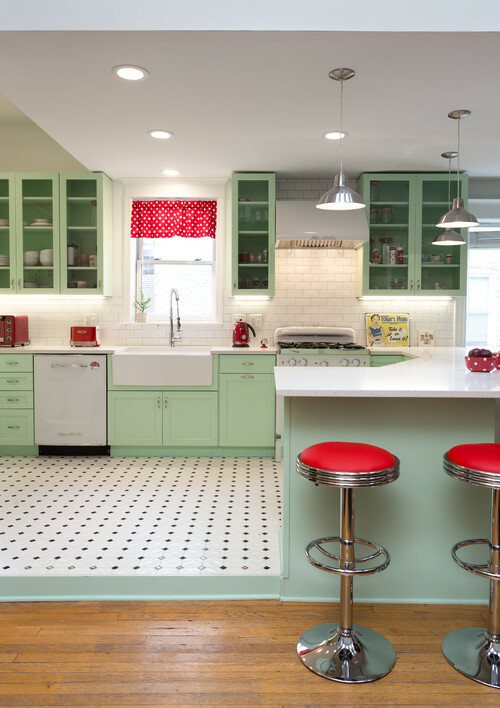 As seen above, this kitchen was painted in mint with splashes of the black, white and red of the traditional colors. So, don’t be afraid to branch out. 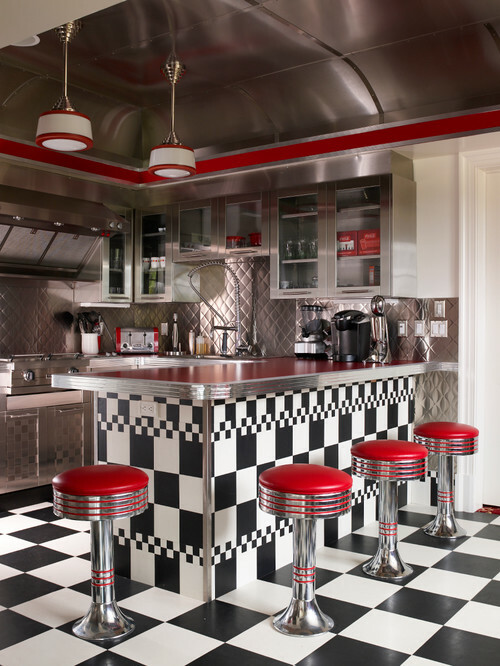 Retro styles can be a great way to design a kitchen. It works great with any budget, but can be especially beneficial to those on a tight budget. Because the materials that work best with this design are also some of the least expensive, a high end look can be achieved for a very low cost.